Dr. Sip: They are, apparently, attracted to the rubber parts. It’s so much easier to dismantle than the spark plugs or having to actually change the oil. Well, really, anything they can remove is fair game. Melissa: They don’t even care about the law. Dr. Sip: This video is long, but gives you a better sense of their talents. Start around the seven-minute mark for optimal distructo-bird behavior. Melissa: It has reached the point where some communities are having to fight fire with playgrounds. 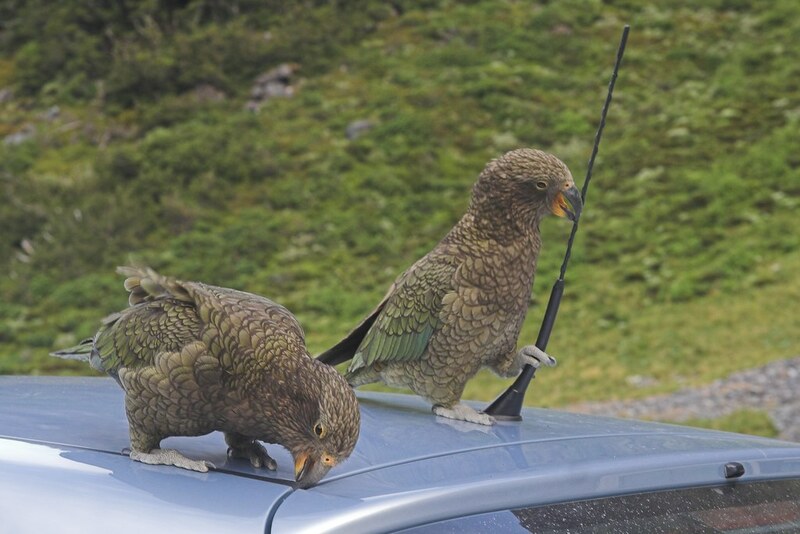 They've built a Kea playspace that includes monkey bars, and other distractions, to give the birds an alternative to damaging parked cars. Dr. Sip: And since these birds are listed as “vulnerable” as in “not quite endangered, but not in great shape numbers-wise in the wild," no one is allowed to do harm to them. So why not spoil these beautiful feather-balls with swings and slides? 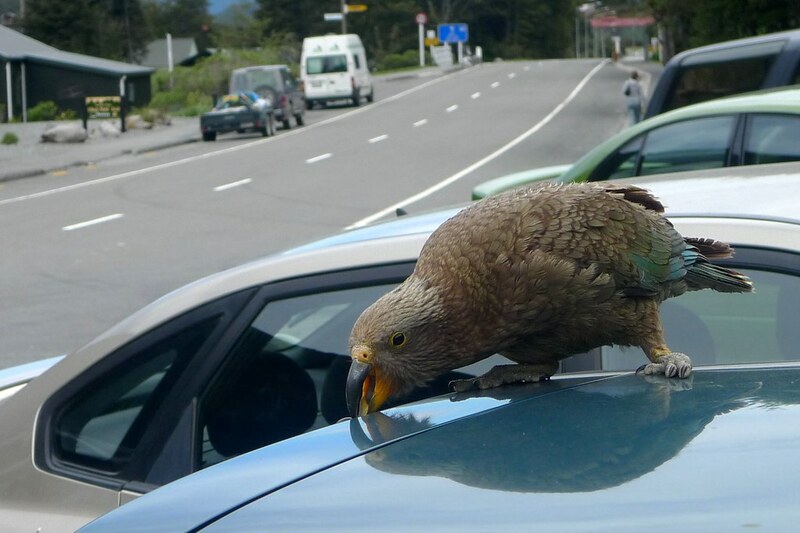 Or whatever a Kea playground includes. 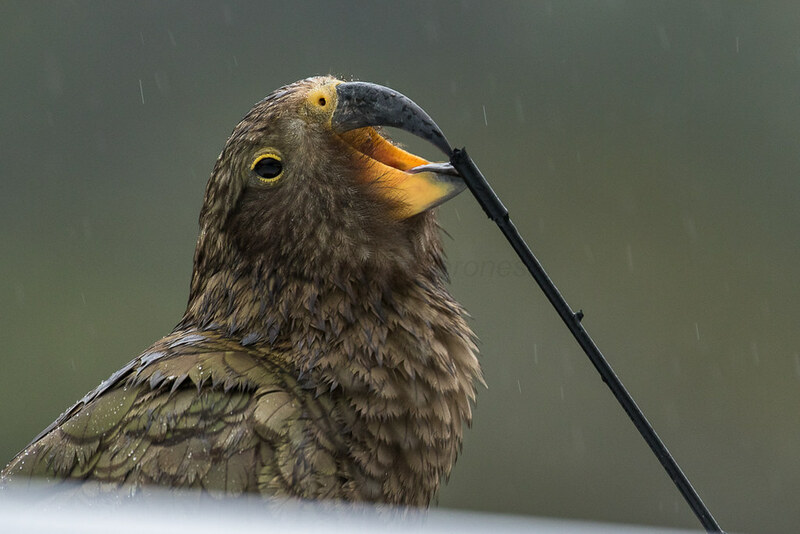 Melissa: Despite their naughty behaviors, the Kea is a beloved part of New Zealand culture, even appearing on the back of the $10 banknote for a number of years. We're betting you won't see the Kia Sportage occupying this space anytime soon. Dr. Sip: So, New Zealand traveler beware; if you’re heading to the South Islands, you’ll want to take care. Perhaps opt for the bus. Melissa: Or get all the insurance on that rental car.